Biagio d’Antonio, “The Triumph of Camillus”. Via the National Gallery of Art. Former State Department Deputy Director Wayne White warns that supplying Syrian rebels with small arms is unlikely to quickly end the conflict, as do Max Fisher and CJ Chivers. CIA veteran Milton Bearden discusses lessons from the US’ 1980s effort to arm anti-Soviet Afghan fighters. Is Egypt’s Muslim Brotherhood backing jihadists in Syria? Why the campaign to end hunger must focus on violence against women. What does election violence in Pakistan mean? 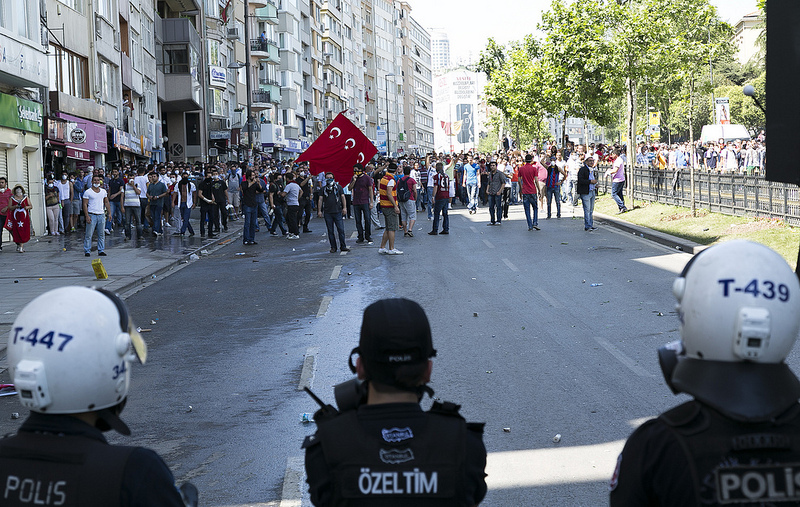 Turkey’s European Union minister reportedly claimed that anyone who enteres Taksim Square “will be considered a member or a supporter of a terrorist organization” by the police as demonstrations continue.